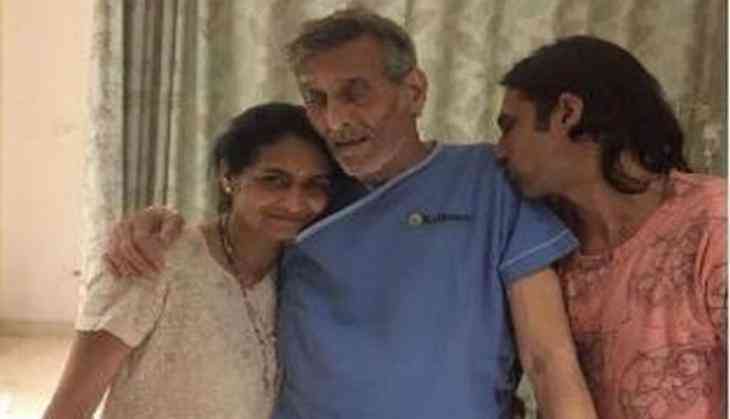 Veteran actor Vinod Khanna was recently admitted in HN Reliance Foundation and Research Centre in Girgaum on Friday, due to severe dehydration. While everyone is praying for actor's speedy recovery, a picture of the actor in the hospital has gone viral on social media. The 70-year-old-actor looks quite pale in the photo and his body transformation has shocked everyone. In the picture, he can be seen standing with his family members wearing hospital uniform. Since the time the picture has gone viral, wishes have been pouring in for his speedy recovery. Earlier, as per a statement issued by the actor's family, the situation was quickly brought under control and he's doing much better. The actor is a sitting Bharatiya Janata Party MP from Gurdaspur district of Punjab and has featured in films like ' Mere Apne', ' Insaaf' and ' Amar Akbar Anthony' among others. Vinod Khanna will be seen in ' Ek Thi Rani Aisi Bhi' releasing on April 2. READ NEXT >> Sidharth Malhotra and Neeraj Pandey book the Republic Day 2018 weekend!